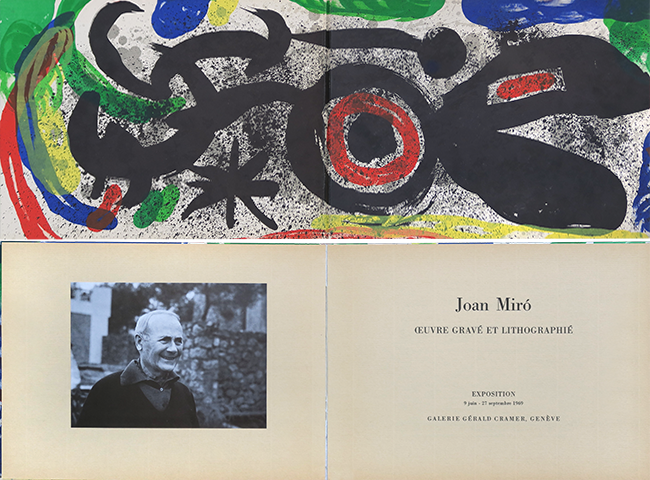 Catalogue of the prints exhibition "Joan Miro : Oeuvre gravé et lithographié" held at the Galerie Gérald Cramer in June to September 1969. 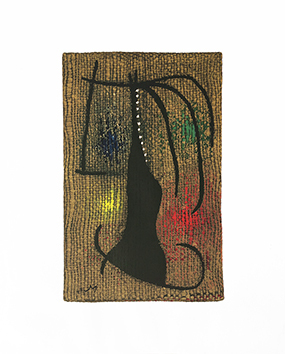 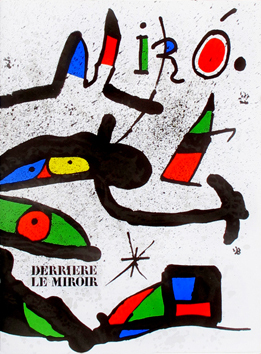 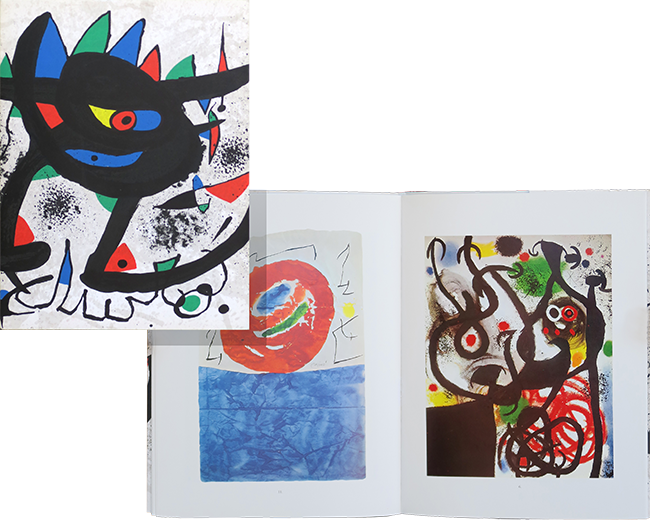 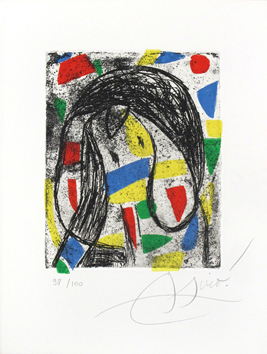 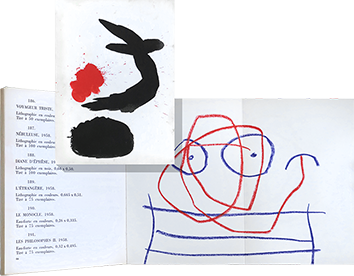 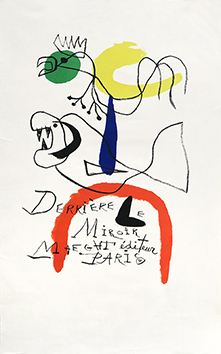 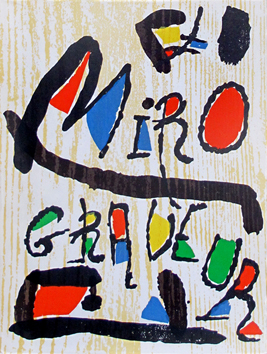 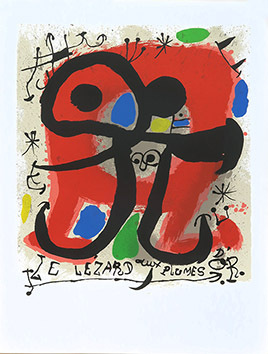 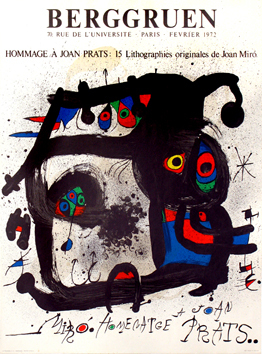 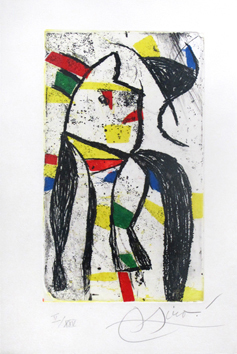 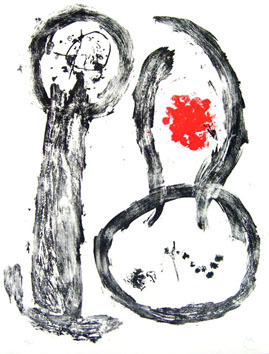 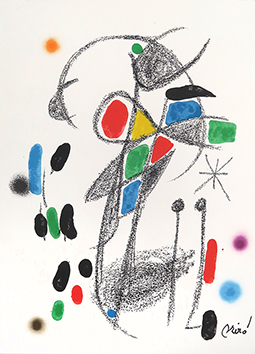 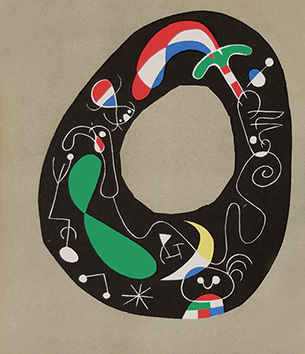 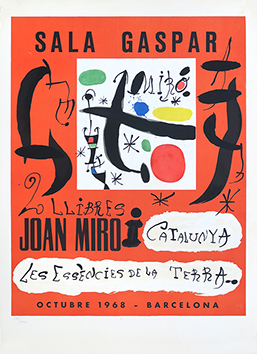 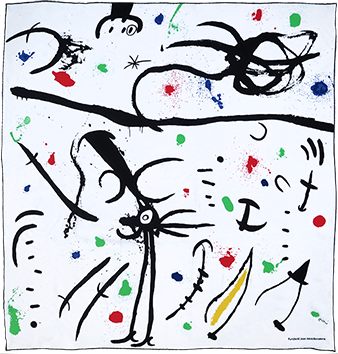 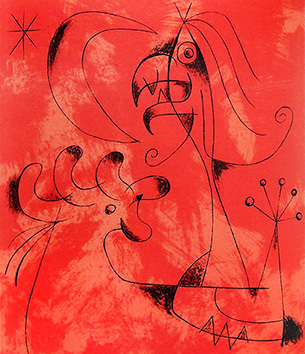 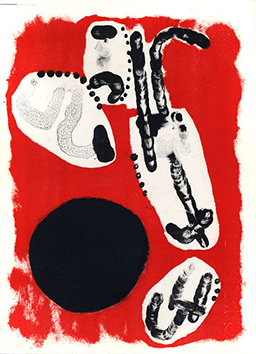 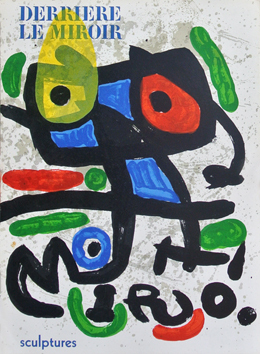 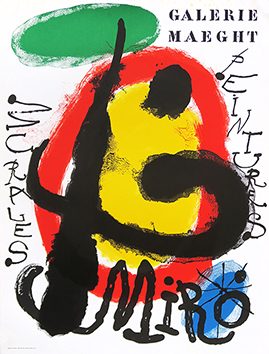 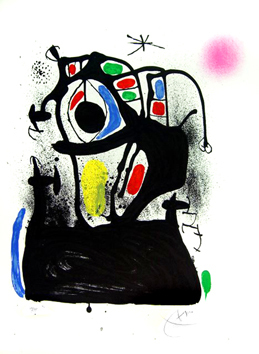 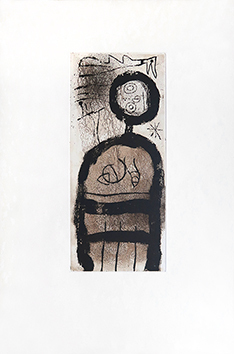 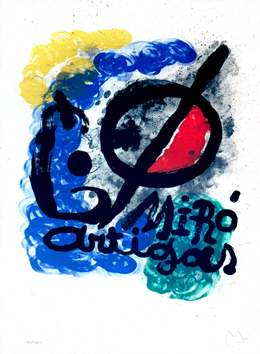 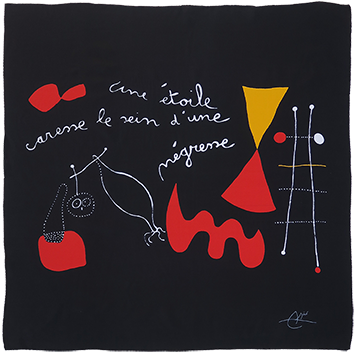 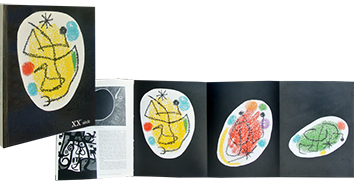 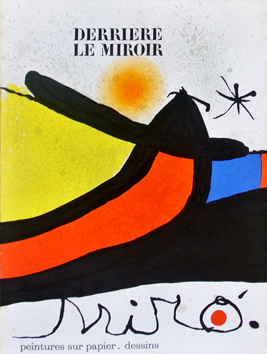 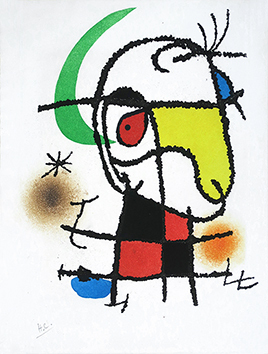 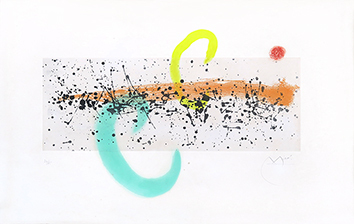 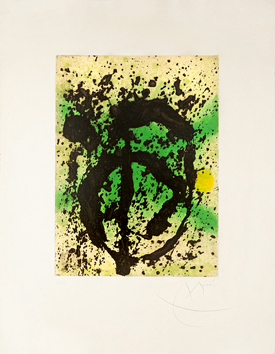 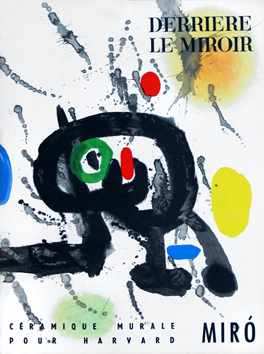 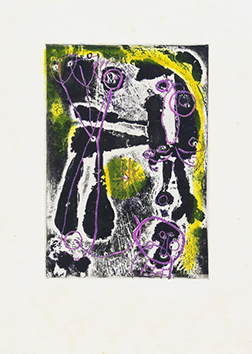 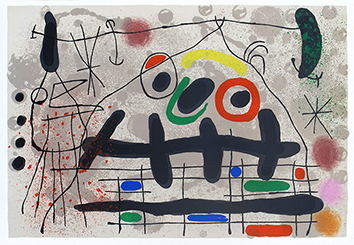 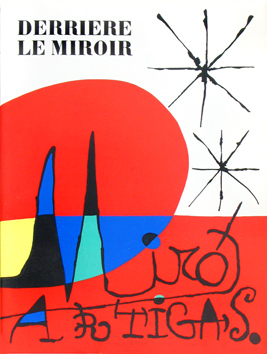 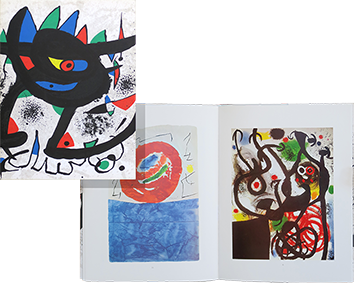 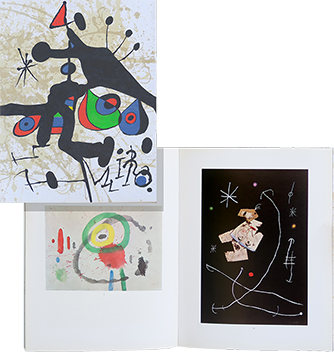 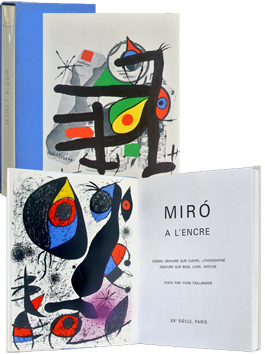 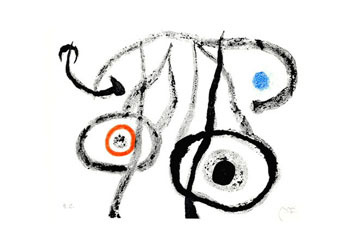 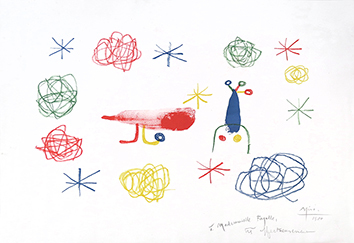 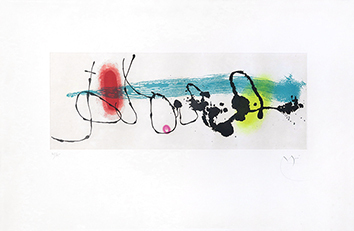 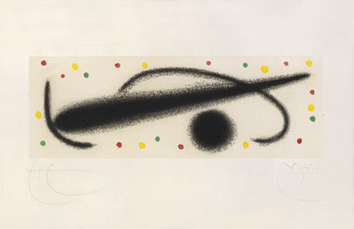 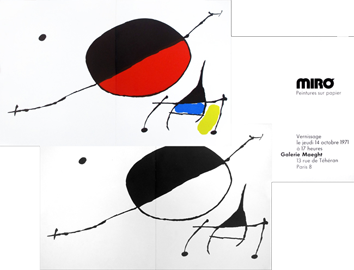 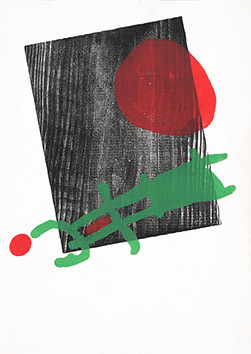 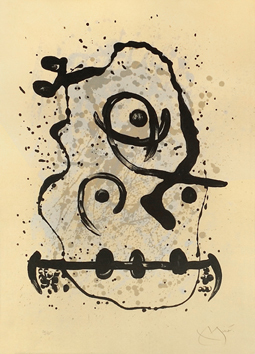 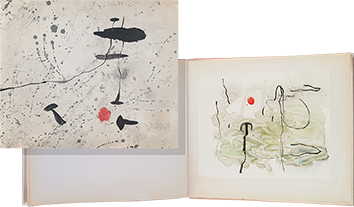 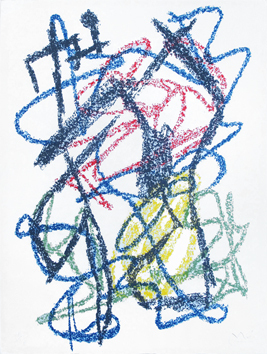 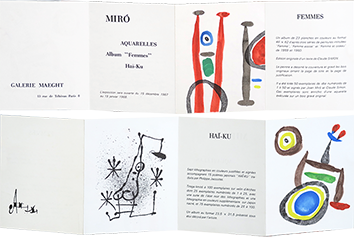 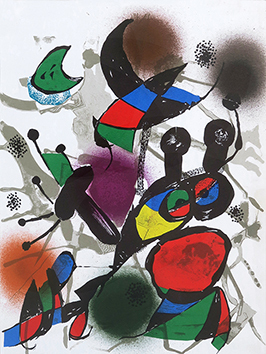 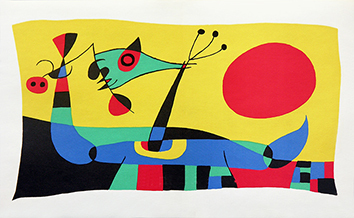 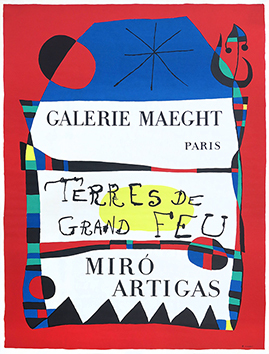 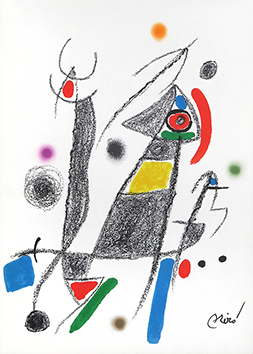 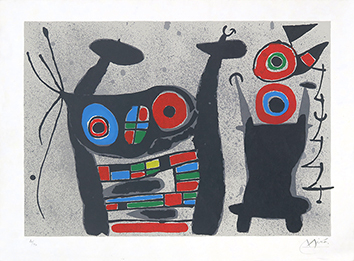 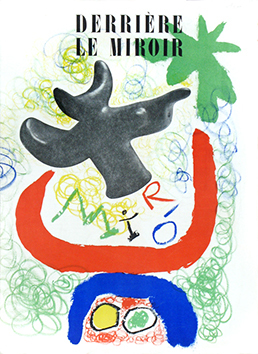 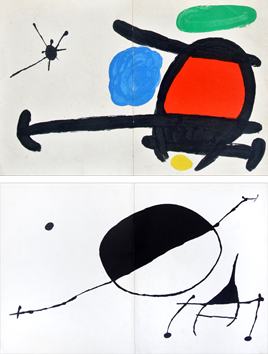 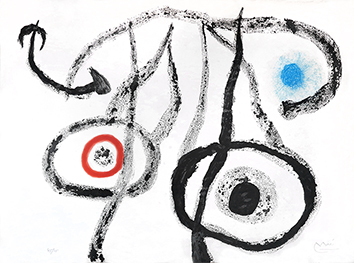 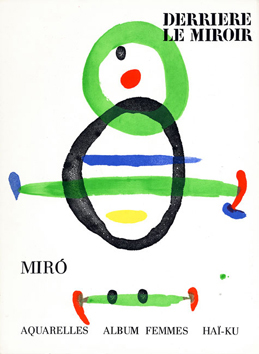 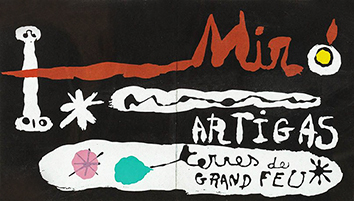 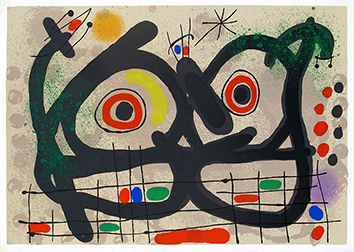 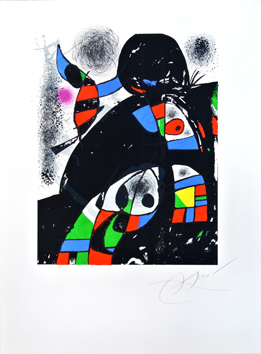 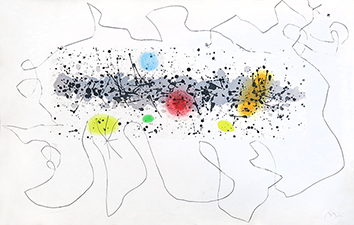 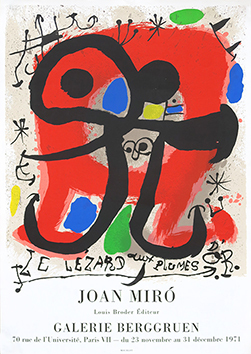 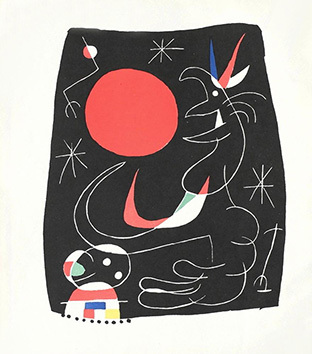 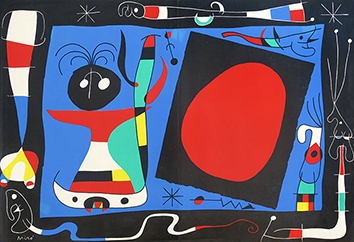 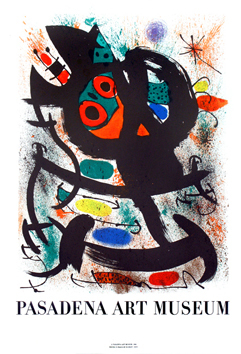 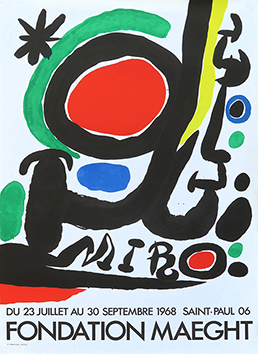 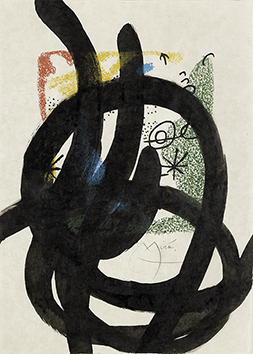 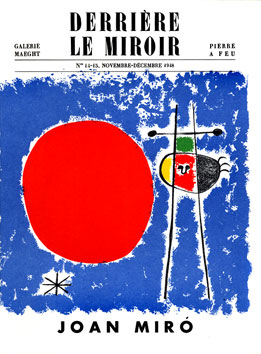 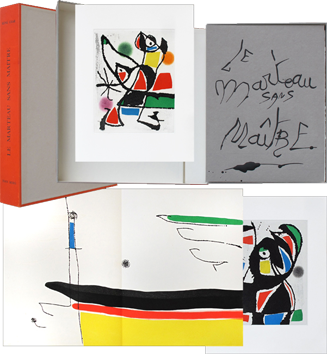 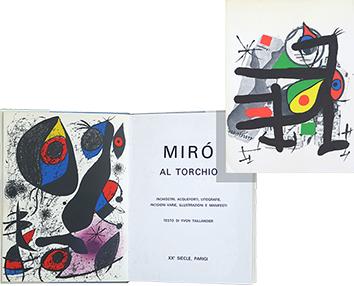 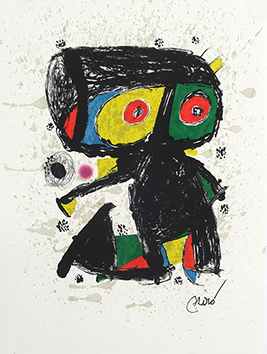 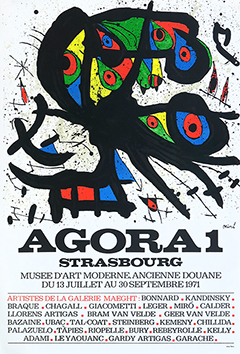 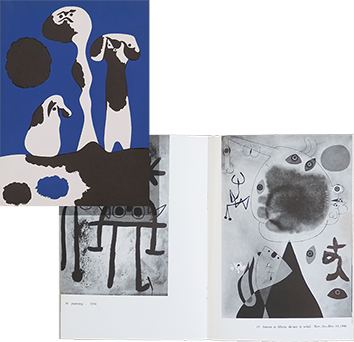 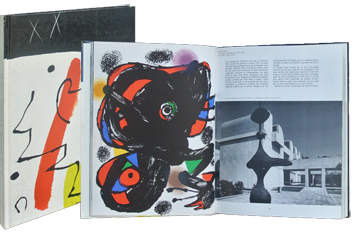 The dust jacket is entirely illustrated with an original lithograph in colours by Joan Miro, titled "L'oiseau mangeant le feu", printed by Arte. 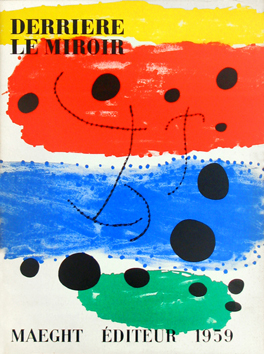 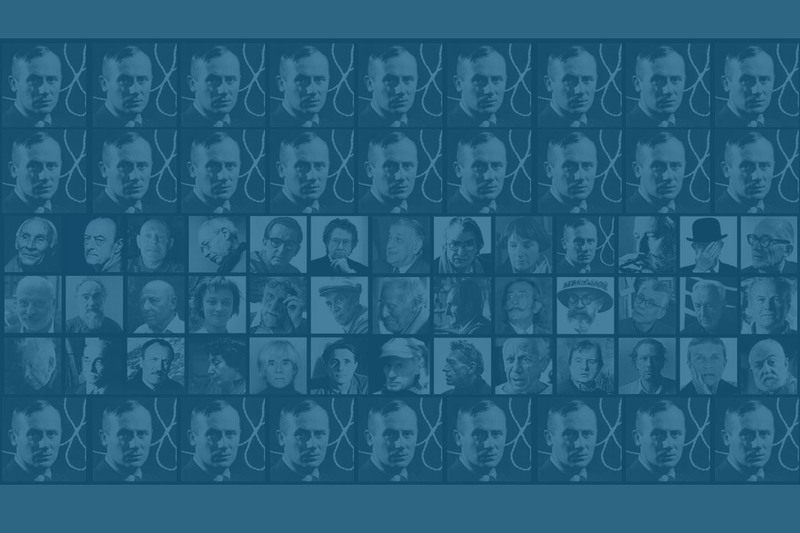 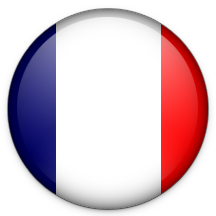 Gérald Cramer Publisher, Geneva. 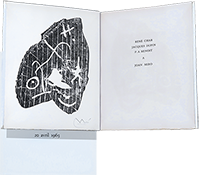 Condition : A tiny scratch on the dust jacket, otherwise in very good condition.